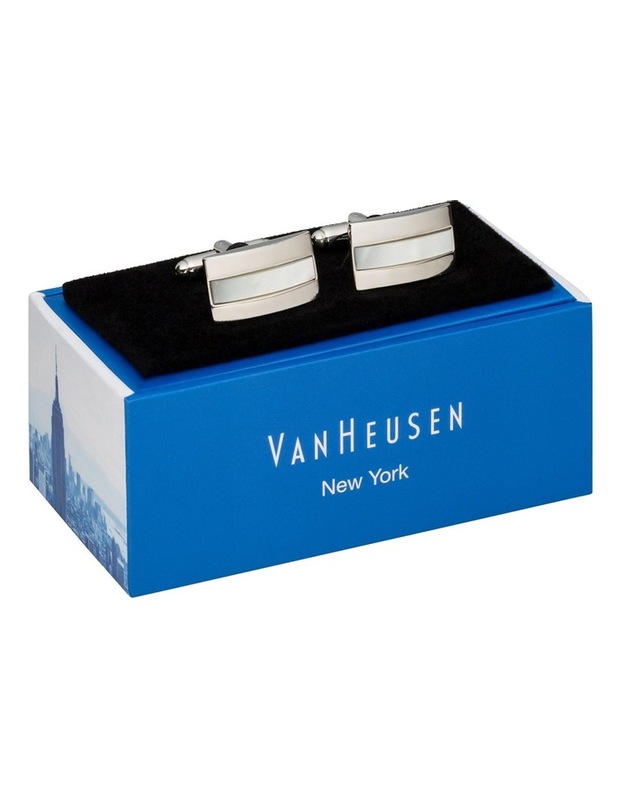 VAN HEUSEN delivers a twin pack set of polished metal cufflinks so you can coordinate your look with ease. One set bears a square shape with a black enamel surface and polished silver border. 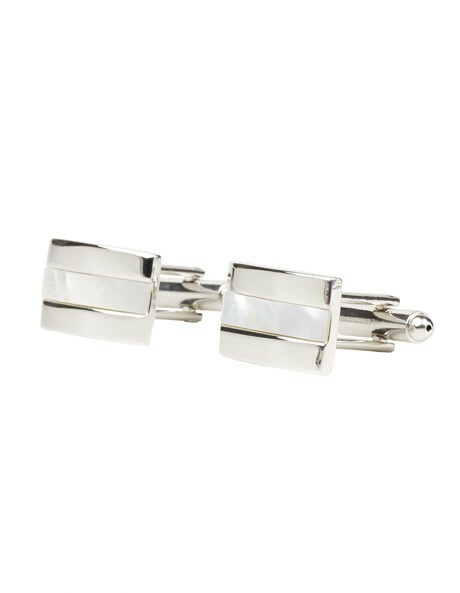 The other set is rectangular in shape and is embedded with a small jewel on the bottom corner.